In 2006, I collaborated with the former lead dancer for the Oregon Ballet Theater, Alexandrous Ballard. He had recently retired and his dream was to start a new company, one which combined the grace of classical ballet with the more athletic choreography being developed in Europe. I liked the idea and became a fundraiser and volunteer for the Bouand Dance Company where Alexandrous served as Artist Director. During the two years I worked to make his dream real, I was privileged to observe dancers, choreographers and technicians coming together to create grand illusions. The process, itself, was magical, a stew of discipline, energy, sweat, and egos from which emerged a beauty so dazzling that theatergoers were transported to new dimensions of pathos or joy. I can no more imagine a world without dance than I can imagine a world without air. Since mankind climbed down from the trees and took its first stumbling steps on the ground there has been movement, swaying and dance, the primary art form of the human race. 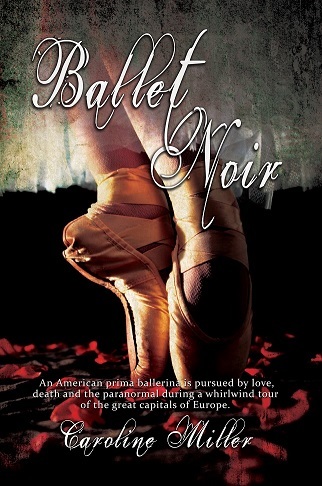 Ballet Noir is a tribute to the magic makers of dance. The story begins with Tara Bently, a young prima ballerina for a small, Seattle dance company. On their first European tour, her delight turns to horror when she discovers her deceased dance teacher, Yelena Natilova is reaching out to her from the grave. Tara fears she may go mad, but a chance meeting with a necromancer gives her hope. Still, can the stranger be trusted? And if so, has he the power to guide her through this nightmare as she struggles to hold her career together. Dancing through the great theaters of Europe, she discovers she is giving the performance of her life while death stands, waiting in the wings.